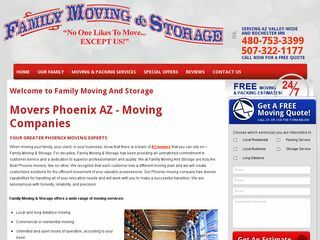 Family Moving and Storage proudly serves the greater Phoenix Metro area for all of it’s local moving needs. We gladly work with residential and commercial customers meaning you can have a studio apartment or a large office move and we have the right team and equipment to get the job done. Our specialty is as a local mover. We happily can pack and tape all valuable belongings as well as store it in storage. From door to door our team of quality movers will get the job done fast and on schedule.